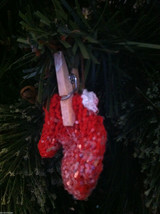 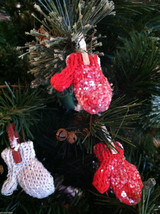 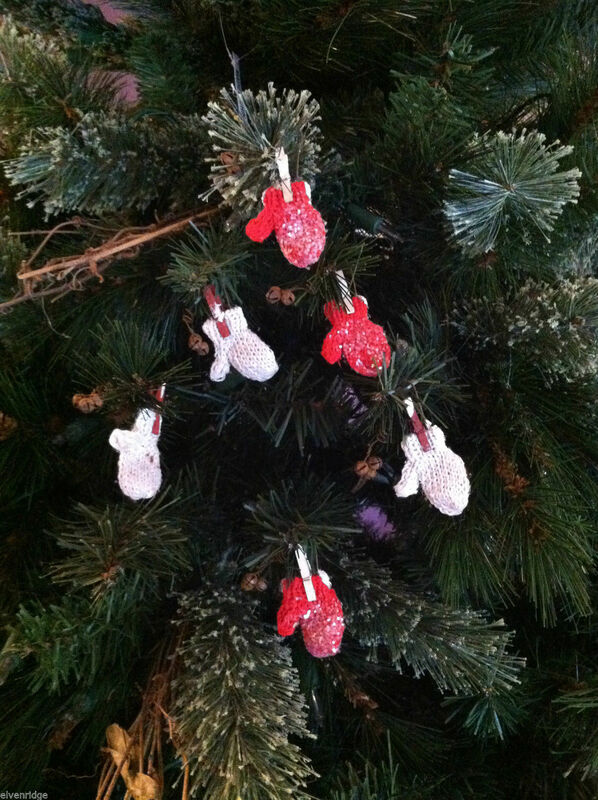 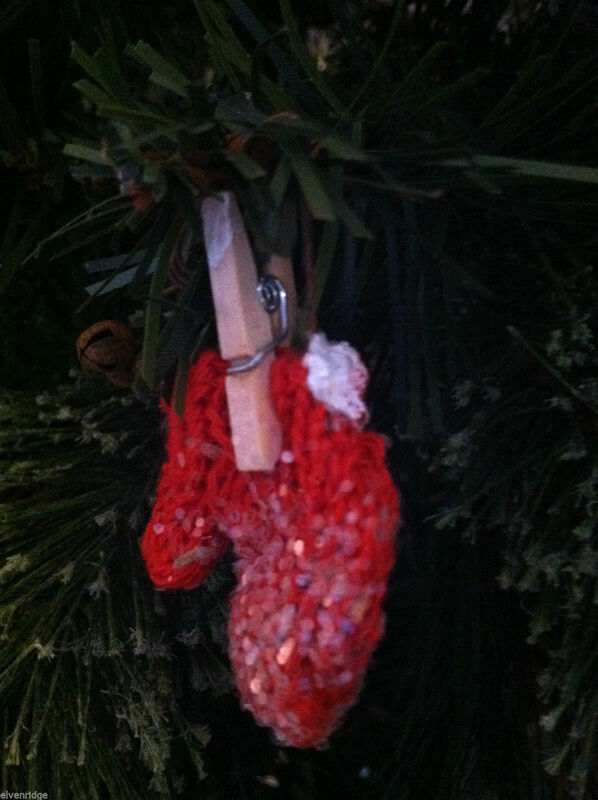 Decorate your tree with this set of 6 red and white glittery mittens! 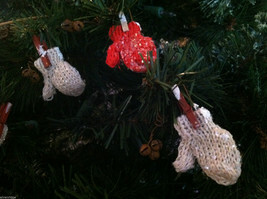 These mittens are hung by a wire hanger attached to clothespins. 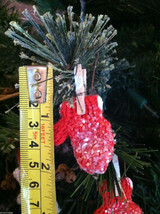 Three white and 3 red are included and measure approx. 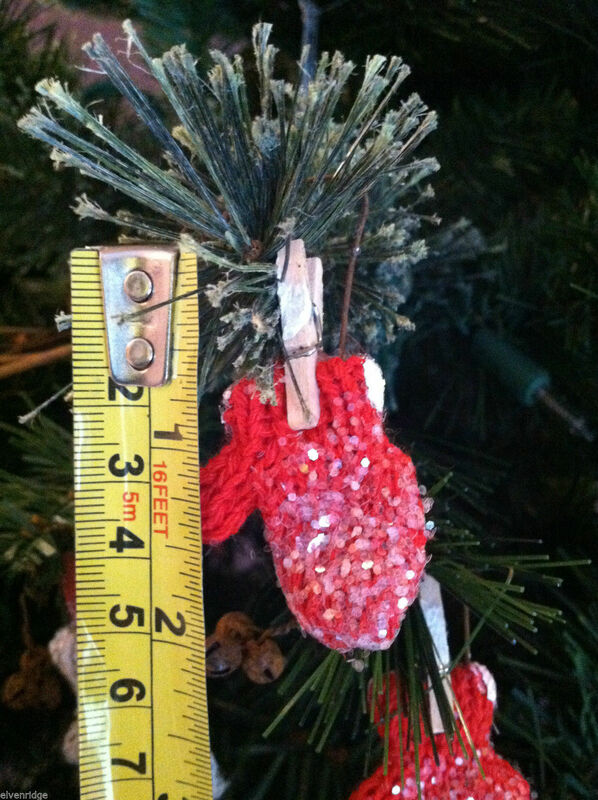 2" each. The mitten ornaments come in a box that measures 6 1/4"(L) x 4 5/8"(W) x 3/4"(H).